Render a span of text using the strong font face. Add strong formatting with two asterisks (**) or two underscores (__) before the first character of the span and after the last character of the span. The first and last characters cannot be spaces. Do not mix asterisks and underscores for the same element. 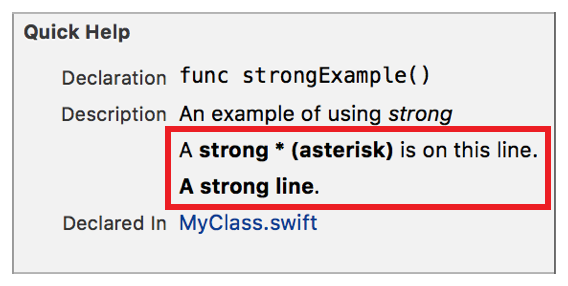 A **strong * (asterisk)** is on this line.